Iran didn’t officially participate in the ice hockey tournaments of the 2017 Asian Winter Games but collected first experiences in friendly games with countries participating in the men’s Division II tournament. It was about one year ago when IIHF.com wrote about the interest of the vast country to start an ice hockey program with representatives reaching out during the 2016 Winter Youth Olympic Games about possibilities to join the International Ice Hockey Federation. Since then first steps were taken with the program such as bringing players of the national inline hockey team to the ice last summer in Asiago, Italy, after an inline hockey tournament. At the Youth Olympics, Iran had two athletes – a male and a female skier. While snow sports have been practised for a long time in the country with mountain resorts, Iran wants to take steps to make ice sports more popular as three small-size ice rinks were opened in the last few years in the capital of Tehran, the second-biggest city of Mashhad and on the island of Kish. “We’d really love to join the big ice hockey family. I hope we can become members and participate in ice hockey competitions in Asia. Iran is a huge country in Asia, we have a population of almost 80 million. Iran can be a really great destination for ice hockey. That’s why we want to work with the IIHF to have a vision for ice hockey in Iran,” Nasser Talebi, Chef de Mission of the Iranian team at the Youth Olympics, said one year ago and also mentioned the 12,000-seat multifunctional Azadi Indoor Stadium that was built for the 1974 Asian Games and could potentially be used for international ice hockey events. While not everybody may think about ice hockey in Iran at first due to the hot summers, it can be said that some areas of Iran have cold winters too. Winters in Tehran tend to be slightly colder than in Hamburg in northern Germany and the winter temperatures in Mashhad resemble the ones of Stockholm. That’s also where one of the most famous hockey players of Iranian descent, the Ottawa Senators’ Swedish national team forward Mika Zibanejad, grew up. The National Olympic Committee planned its international ice hockey debut at the 2017 Asian Winter Games that ended on Sunday, assembled players from Iran and recruited players with Iranian roots from abroad. That’s where the problems began. Despite being warned about the eligibility rules of the Olympic Council of Asia, which governs the Asian Winter Games, the Iranian delegation travelled to Sapporo with many players from abroad who have neither played nor lived in Iran and are citizens of two countries. The Iranians hoped to be granted an exception to compete in the Division II tournament but were treated by the same rules. In the end only eight players were eligible to participate – too few to play the tournament. Luckily for the Iranians the ice hockey family got together and welcomed the remaining players with open arms. After discussions with the organizer in Sapporo, the scheduled games happened as friendly games and with some improvisation. The eight players were boosted by players from the other teams and the games were played without body-checking to make the start easy and do the best to avoid injuries for the new players and the other teams competing in the Division II event. Like that the Iranian players had the chance to play with and against players from Macau, Indonesia, Malaysia and Turkmenistan. It wasn’t the planned official debut yet but still a happy ending and an opportunity to get first experiences in ice hockey games for the players who usually rather put on inline skates. And hopefully it will be the start of something bigger once ice hockey grows in Iran. In 2015 the HISF (Hellenic Ice Sports Federation) was absorbed by EOXA (Hellenic Federation of Winter Sports) and now has taking over ice hockey in the country. EOXA has restart the Greek Ice Hockey National League 2017 with a Men’s and Junior divisions which have four teams Warriors, Panserraikos, Tarandos and Ice Guardians. The Men’s division runs from February 25th to April 23rd and the Junior division runs from February 25th to April 22nd. All Games will be played in two Arenas the Athens Heart Mall and The Iceberg. Kazakhstan captured the gold medal in the men’s top division at the 2017 Asian Winter Games with a comprehensive 7-0 victory over Japan on Sunday afternoon at Tsukisamu Gymnasium. Yaroslav Yevdokimov and Ilya Kovzalov had two goals each in the win for Kazakhstan, with Konstantin Savenkov, Kirill Savitski and Madiyar Ibraibekov also scoring. Japan struggled against their bigger and faster opponents, who dominated puck possession for the majority of the contest, and outshot the hosts 41-12. Despite the scoreline, Starygin indicated the triumph was hard-earned. Kazakhstan came into the final with a 2-0 record, having defeated Korea (4-0) and China (8-0) in the four-team tournament for a total 19-0 goal record in three games. Japan was 1-1 with a victory over China (14-0) and a loss to Korea (4-1). Japan needed to beat Kazakhstan by four goals to win the gold medal. Korea, which beat China 10-0 earlier on Sunday, claimed the silver medal with six points, with Japan (three points) settling for the bronze. The final ranking does represented the hierarchy of the four Asian countries in last year’s World Championship program. Starygin told his players beforehand to retain their poise and stay with their game plan. Kazakhstan wasted little time getting on the board Sunday, with Yevdokimov beating Japan goalie Yutaka Fukufuji from close in on the right side just 31 seconds into the first period. While Kazakh KHL team Barys Astana is busy in the playoffs, the players like Savenkov and Yevdokimov were recruited from the Kazakh league. The Kazakhs tallied again less than two minutes later when Kovzalov scored. The margin went to 3-0 at 15:14 of the period when Savitski flipped a shot past Fukufuji from close range. Ibraibekov made it 4-0 when he ripped a blast from the slot at 7:16 following a pair of nice passes from Maxim Volkov and Ilgiz Nuriev, who were both credited with assists on the play. Japan pulled Fukufuji for Takuto Onoda with 6:48 remaining in the first period, but the damage had been done. Kazakhstan scored on a power play at 10:21 of the second period when Yevdokimov punched a rebound of his own shot past Onoda. The advantage ballooned to 6-0 with just over four minutes remaining in the frame when Savenkov fired in a slap shot from the point. Kazakhstan closed out the scoring with 1:27 left in the final period on a goal by Kovzalov. Japan coach Takahito Suzuki bemoaned how his team was put in an early hole by the Kazakhs. Suzuki acknowledged that the Kazakhstan players utilized some of their strong points in the tournament. Thailand won the Division I tournament with four regular-time victories and an overtime win for 14 points, with Chinese Taipei taking second on 12 points, and the United Arab Emirates (9 points) coming in third. Turkmenistan prevailed in the Division II competition, defeating Kyrgyzstan 7-3 in Sunday’s final. The Philippines, who like Turkmenistan gave their international debut, routed Macau 9-2 in the third-place game. Japan – One of the nice stories of the Asian Winter Games thus far has been the play of the Turkmenistan men’s hockey team. The squad comes from a central Asian nation with a population of five million people that is a relative newcomer to the sport. Ice hockey has just started recently and was never played in the country during the Soviet times. Despite that fact, Turkmenistan has posted three impressive victories in the Division II tournament here. They opened with a 9-2 win over Malaysia in their first-ever international game, followed that up with a 16-0 rout of Macau, and beat Indonesia 12-2 on Friday at Hoshioki Skating Rink. The Turkmens displayed both good speed and power in their latest triumph and their showing bodes well for the future growth of the sport back home. Forward Dovlet Soyunov, who scored two goals against Indonesia, expressed his pleasure with the team’s latest performance. The 22-year-old provided some background on the sport in Turkmenistan. The Turkmenistan roster features 15 players from the Galkan club. Soyunov is often called on to translate in English for teammates, having had some education in the United States. Soyunov clearly paid attention in class, because he speaks and comprehends the language well. When asked about his favourite NHL players, Soyunov quickly identified two he follows closely. “I like Yevgeni Malkin and Alexander Ovechkin,” he replied. Yakut Berdiyev, a forward who has recently finished high school, is enjoying the chance to travel abroad with the national team. Berdiyev took to the sport after he first saw it at the age of 11. The growth of the sport back in Turkmenistan has Berdiyev dreaming of a career outside his country. “I hope to play in some league outside Turkmenistan someday,” the shy Berdiyev said. Jora Hudayberdiyev, who was recently appointed as new Chairman of the National Winter Sports Centre, was on hand for his team’s latest win and provided some details on how hockey is progressing in the country. Hudayberdiyev has enjoyed the Asian Winter Games and is already eyeing the future. The Division II tournament of the Asian Winter Games in Sapporo was played in two groups that were won by Turkmenistan and Kyrgyzstan with an undefeated streak. The two Central Asian nations will play each other for tournament win on Sunday. The Philippines and Macau will play for third place. A 14-0 victory over Singapore has given Thailand their first ever ice hockey gold, taking place at the 2017 Asian Winter Games in Sapporo, Japan. Thailand was strong from the offset of the tournament, with the team winning their first game against Mongolia 5-4. The team then stopped UAE by a score of 6-4 before easily defeating Hong Kong 8-2. Their game against Chinese Taipei later in the week was expected to decide who would win the tournament, and with a 3-2 overtime victory, Thailand was in the hot seat heading into their game against Singapore. Coming into the game, Singapore had allowed 42 goals in four games, so Thailand’s chances were extremely high. Thailand’s top player, Kim Aarola, had four goals and two assists for six points in the game, good to give him 15 in five games. Likit Neimwan-Andersson was strong for his nation, putting up two goals and an assist to top off the impressive tournament performance. Thailand’s last medal came at the 2012 Challenge Cup of Asia, a silver medal. The team now has five total medals in international competition, with two silver, two bronze and now a gold to their credit. Chinese Taipei finished the tournament with a silver medal thanks to an 6-2 victory over Mongolia to start the day. Wrapping up in third place were the United Arab Emirates following a 5-3 win over Hong Kong. South Korea defeated Japan 4-1 for its first victory in men’s hockey at the Asian Winter Games on Friday. 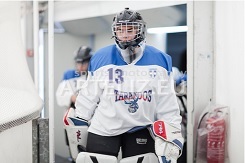 Four different players scored for South Korea, and goalie Matt Dalton turned in a solid performance at Tsukisamu Gymnasium, as South Korea evened its record at 1-1. South Korea will close out the Winter Asiad against China at 9 a.m. Sunday. Japan will play Kazakhstan in the finale, also on Sunday. The top three teams after the round robin play will emerge as the medalists. Kazakhstan leads the tournament with two victories. South Korea and Japan both have a win and a loss, but South Korea is in second place thanks to its superior head-to-head record. Mathematically, South Korea still has a shot at winning gold here — which would be its first for an Asian Winter Games — but will need plenty of help from other nations to win the tiebreaker. At the previous Asian Winter Games in 2011, Kazakhstan won the gold, with Japan and South Korea winning silver and bronze, respectively. South Korea, ranked No. 23, has now beaten the 21st-ranked Japan in three straight games, after suffering 19 losses and one tie in 20 previous meetings. South Korea began the Asian Games here with a 4-0 loss to Kazakhstan Wednesday, a game that was even more lopsided than the score indicates. And the one that beat Japan seemed to be an entirely different team, as it played with far more oomph and chutzpah. South Korea opened the scoring at 9:33 in the first, with Seo jumping in on an odd-man rush and beating goalie Yutaka Fukufuji with a slap shot from the right slot. After a nifty outlet pass, Shin Hyung-yun sprinted up the middle and found defenseman Seo Yeong-jun charging down the right wing. Seo then sent a rising shot that zipped past Fukufuji over his right shoulder. South Korea spent the majority of the first period in the Japanese zone, as the forwards frequently outmuscled the opposing defenders on forechecks and stripped them of the puck when Japan tried to mount counterattacks. Japan came out in the second period with a little more juice, but South Korea quickly regained control. Japanese players then started taking some dumb penalties — four alone in the second period — and forward Michael Swift made them play with a power-play goal at 9:49. With one second left in the second power play of the period, Swift beat Fukufuji with a wrister from the left wing. The forward appeared to have no angle, but somehow squeezed one past the Japanese goalie on the stick side. South Korea went up 3-0 at 12:04 in the third, as forward Kim Won-jung, all alone at the top of the crease, deflected a point shot by defenseman Kim Won-jun. Japan, after peppering shots at Dalton for the better part of the final period, finally solved the goalie at 15:53, with Hiroki Ueno banging home a rebound from the point-blank range. South Korea killed a late penalty, and after Japan pulled Fukufuji for an extra attacker, Park Woo-sang scored one into the empty net to seal the deal. South Korea was missing No. 1 line forward Michael Testwuide, who hurt his left shoulder in a collision with Kazakhstan goalie Vitaliy Kolesnik on Wednesday. Testwuide has been ruled out of the Asian Games. Stan Smyl arrived before the appointed hour and was taking in the sights and sounds in Kowloon when he saw his old friend wading through the crowd. He was older, to be sure, but the frame, the presence, were unmistakable. The setting? That was a little different, but the man Smyl had known for over 40 years had always wanted to find his place in the game. He just found it in another world. Literally. “It was Bubba,” said Smyl, the Canucks’ director of player development. And Barry Beck was home. Beck, the legendary defenceman of a bygone era in the NHL, has spent the last decade in Hong Kong, where he’s become the driving force behind the Hong Kong Academy of Ice Hockey and, by extension, the nascent hockey program in the Chinese territory. Starting with 10 registered players in the metropolis of seven million, the academy has grown to more than 500 players with age-group programs ranging from five- and six-year-olds to high school teams and, ta-da, the Hong Kong national team that competes in Division III at the IIHF world championship. Beck has since stepped down as the national team head coach, but last spring he took them to the world championship in, of course, Istanbul, where they finished fifth in their six-team pool, largely because Georgia was disqualified for an eligibility transgression. “I went through different stages in my life, but to me it was all growing experiences to take me where I am now. It was a different era (in his playing days) and a lot of things were around. But they never altered my decision-making. team at the 2014 IIHF Challenge Cup of Asia in Abu Dhabi, UAE. Beck was brought to Hong Kong 10 years ago through a Vancouver connection with Thomas Wu, a local businessman who was interested in starting the academy. His position has since taken him all over Asia, including the Chinese hockey hot-bed in Harbin, Malaysia, Vietnam, Thailand and Indonesia. He’s also travelled to Russia, the Czech Republic and taken the national team to Luxembourg. This summer he’s taking a group from the academy to Boston University, where they’ll rub elbows with the 40 or so NHLers who train at BU. “I think about it,” Beck says of his long-strange trip. “Growing up in Vancouver, I mean I’d go to Chinatown, but I went to Templeton high school and I never thought of Asia as a destination. Still, that journey has placed Beck at a critical moment in the game’s development in Asia. The Winter Olympics are set for South Korea in 2018, where former NHL defenceman Jim Paek has helped build a competitive program, and Beijing for 2022. The Canucks and the Los Angeles Kings are scheduled to hold training camps in Beijing this fall and play a couple of exhibition games in Beijing and Shanghai, where the Anschutz Entertainment Group owns the Mercedes-Benz Arena. AEG owns the Kings and Beck has talked to his old Kings teammate Luc Robitaille, now the Kings’ president of business operations, about growing the game in China. The Boston Bruins are also running youth programs in Beijing. The Islanders and their owner, Charles Wang, are involved in Harbin. Then there’s the Canucks’ connection. “The hockey world is changing,” Beck said. And he’s changed with it. Sadly, Beck could never stay healthy enough to fulfil his limitless promise. The temptations of Manhattan also distracted him from his purpose and the hockey world never really saw the best of Beck. And always will be, even if he’s a world away. Growing up in rural southern Ontario, Matt Dalton never figured that his career path in professional hockey would take him to South Korea. Dalton, along with a handful of other North American players, has acquired South Korean citizenship and is a key member of the men’s national ice hockey team as it prepares to take on the world’s best as host of the 2018 Winter Olympics. 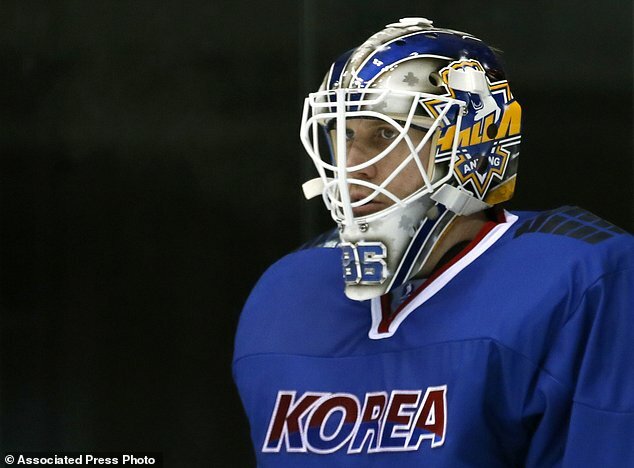 “The possibility of getting citizenship intrigued me,” said the 30-year-old goaltender who is in Sapporo representing South Korea at the Asian Winter Games. 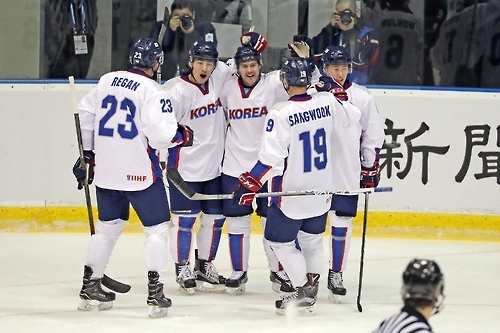 The South Korean team has never qualified for the Olympics and is hoping to avoid an embarrassing drubbing on international ice hockey’s biggest stage. 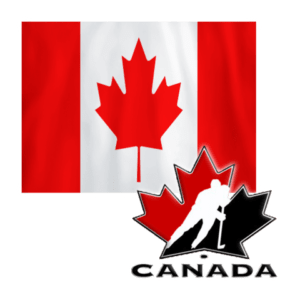 In the 12-nation men’s tournament in Pyeongchang, South Korea has been placed in Group A with top-ranked Canada, the Czech Republic and Switzerland, ranked sixth and seventh respectively. With or without NHL players – the league is still undecided on whether it will take part – that’s a tough group for the hosts. His team, 23rd in the International Ice Hockey Federation’s rankings, lost their opening game of the Asian Winter Games 4-0 on Wednesday to Kazakhstan, which is No. 16 in the world rankings. At the IIHF’s second-tier tournament in 2014, South Korea went 0-5 on home ice, was outscored by 30-12, a result that saw the team relegated to world hockey’s third tier for 2015. South Korea has three clubs in the Asian League Ice Hockey, the only professional league in the region. Those clubs provide most of the national team’s roster.